“Age is no guarantee of efficiency just as youth is no guarantee of innovation”. I got this from a James Bond film but it seems relevant quite often. Favourite thing about Sri Lanka? It’s all pretty damn good, I’d probably have to say my motorbike though… It’s very unreliable and quite old but I like it a lot. 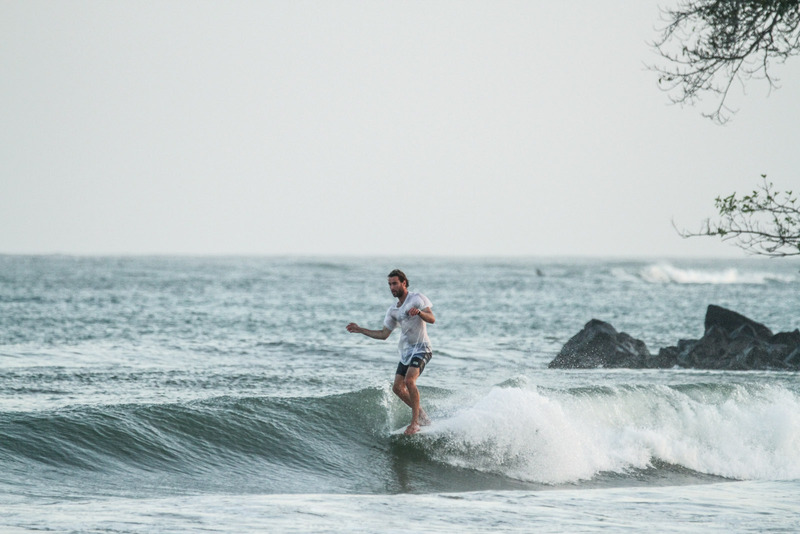 Best surf break in Sri Lanka? I used to ride shortboards in competitions and stuff until my eyes were opened to boards of the single fin variety on a trip to Spain. It’s good to ride the right board in the right waves as you have a lot more fun. It’s a very solid family we have here, Petter and Linn are so open to ideas it’s really nice to be able to deliver their product with your own personal touch, not to mention the epic individuals that pass through this place. The Neverland Boys and my friend Mitchie stole my heart in equal measures. COSMIC JUNGLE VIBES from Rhythm Livin on Vimeo. Read more of Josh & Sri Lanka on Rythmn’s blog here(link).